Public relations is all about communication. These days, there are more ways to communicate with your audience — whether it be the media or customers — than ever before. 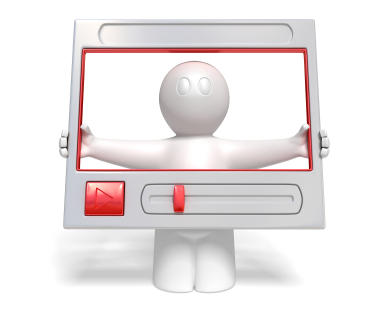 One highly effective way to communicate is through video. People spend hours each month browsing video sharing sites like YouTube, watching all kinds of videos. This presents a huge opportunity for PR pros to use video marketing to execute a communications strategy effectively. But how exactly do you go about using video marketing for PR? Educate others and establish your expertise — Video sharing sites offer a great way to educate people about any topic. The site is filled with how to videos and other informative pieces. You can create educational videos that your target audience will find useful, helping to position your brand as a thought-leader in the industry. Spread your brand — YouTube gives you the ability to create a branded profile page with its own custom design, so you can create consistency across all channels to build a more recognizable brand. Being active on YouTube and other video sharing sites also gives you the chance to increase your search engine presence, making it easier for you to get found. Interact with your audience — Video sharing is a social activity, meaning users can leave comments and share your videos across the web. This gives you a great chance to engage in conversations with your audience, so you can get to know them better and build stronger relationships with them. Build buzz — Have a product coming out soon? Video trailers can be a great way to build buzz as part of your marketing campaign. You can tease some of the product’s features, show it in action, and provide information about its release to get people excited. Go beyond YouTube — Yes, YouTube is the most popular video sharing site, but it’s not the only means of sharing video. Don’t overlook Vimeo, Dailymotion, and other great video sharing sites that give you the chance to spread your message. You can even upload videos directly to Facebook and other social networking sites, so take advantage of these channels as well. Do you use video marketing for PR? Share your tips by commenting below. Interacting with your audience is an integral part in every marketing campaign. Building a relationship with your customers will yield you better brand loyalty and more referrals.